This Sunday's Gospel text from Luke 14:1,7-14 contains a challenge for all of us, a challenge to be humble. 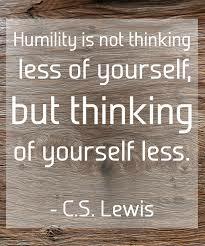 What exactly is humility? To begin with the negative, it is not putting yourself down or making believe that you don't have God given gifts and abilities. So then, what does humility look like? The quote on the left by CS Lewis is a good starting point. The Gospel text cited above gives us even more insight. There is a parable about guests taking the highest places at a wedding banquet. This may seem strange to us because at most of our wedding receptions people are assigned a seat. It was evidently different at the time of Jesus. The real issue with the story is a sense of entitlement. There is a great deal of discussion today about cutting back on entitlement programs, but a sense of entitlement applies to much more that feeling entitled to money from the government. How many of us have a sense of entitlement to various honors and privileges. We feel offended when we don't get them. The humble person, because he or she has no sense of entitlement is able to receive everything as a gift and thus is often feeling grateful and appreciative. In the second part of the Gospel text Jesus tells us that if we hole a banquet we should invite "the poor, the crippled, the lame and the blind." We are to do this precisely because these are people who cannot repay us. The lesson on humility here is that we see that our love is genuine when we expect no reciprocation, even when we reach out to people who can return our generosity. To be humble then is to be truly loving in our dealings with others, giving generously with no expectation of return. Pope Francis is certainly an example of humility for us. St. Francis of Assisi, after whom the Pope is named, teaches us well about humility when he says in one of his admonitions to the early friars, "What I am before God, that I am, and nothing more. This shows another dimension of humility. It is not self-abasement, but rather honest self-assessment. Finally, I pray that I not get too proud of this lesson on humility. Thy Will be done on Earth as it is in Heaven. Part III of series on prayer. It's been 2 weeks since I wrote on this blog. The Wandering Friar has been very busy. Picking up where I left off in my series on prayer based on the Lord's prayer we turn to the phrase, "Thy will be done on earth as it is in heaven." We all want God's will to be done and in the end God's will is the answer to every prayer even when we don't agree with what God has in mind, but what is God's will in any given circumstance. Rarely does God make His will known directly by, for example, calling us up a mountain and giving the ten commandments. We need some means of figuring it out. A big help to me in entering into this figuring out process can be found in the eleventh step of AA and the other 12-step programs states, "Sought through prayer and meditation to improve our conscious contact with God as we understood Him, praying only for knowledge of His will for us and the power to carry that out." What this gem of spiritual wisdom tells us is that we can't just go to prayer and ask God to let us know His will instantly. We need to pray and meditate regularly and grow in "conscious contact" as the step says. The more we grow in relationship with God the more sure we can be of knowing God's will. I'm always amazed when I see my married friends in action. If they have been together for a number of years and have a good relationship they often know what the other desires without even asking. Another criterion for finding out the divine will is thinking not just of yourself, but of others. 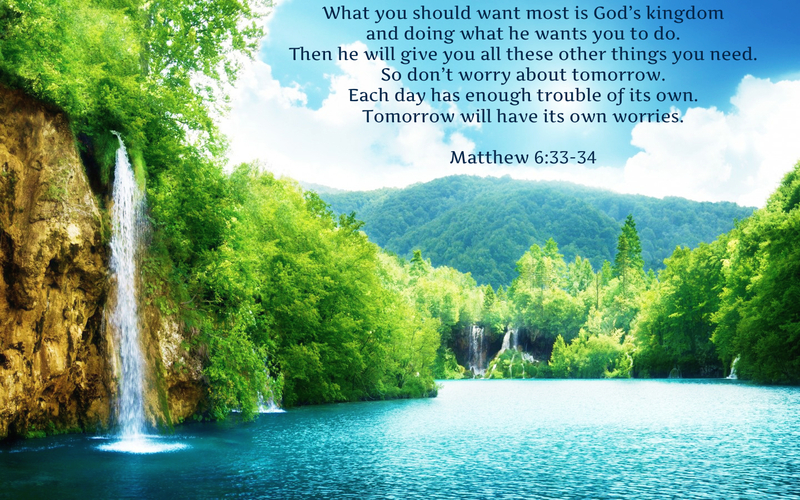 God always desires the greatest good, and the greatest good may not always be convenient for me as an individual. I was very impressed a number of years ago when a man that I know declined a major promotion which would have required a move to a far away city. He and his wife decided that in spite of the big pay raise the move would not be good for the family. 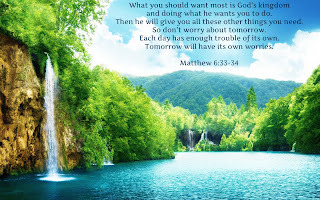 Never trivialize the seeking of God's will be fretting to much over small things. There have been several times in my life when I have been asked to pray that someone make the right decision over the purchase of a stove or a TV. I don't think that most of the time things like that are on God's radar screen. Finally, be open to the big picture, seeing how a decision will play itself out over time. Often when we think God has let us down in the moment we realize only later that something that seemed so bad at one time lead us over the long haul to something wonderful. I remember well going to Bolivia in 1982 thinking that God was calling me to serve there for the rest of my life. That didn't work out. I came back wondering what was next. After a few years of floundering my provincial asked me to consider the preaching ministry. I've been in that work now for over 25 years and frequently preach in the Spanish language that I learned while in Bolivia. God knew hat was best in that situation. 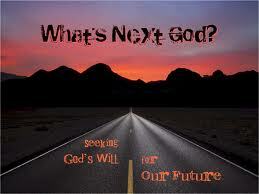 If you want to know more about discerning God's will then ask a Jesuit. Discernment of spirits is one of their specialties. When I was a child I thought that the line that said "Thy kingdom come" in the Lord's Prayer meant that we were praying for the end of the world when the Lord's kingdom in its fullness would be brought about. I wasn't so sure I was ready for that. There was plenty of life on earth left for me, so I thought. Fortunately this is not a prayer for the end of the world but rather a prayer for God's Kingdom to continually break into our lives now, even as we await in hope its coming in the fullness of time. One scripture scholar recently said that the kingdom of God might better be expressed as a verb--the reigning of God. I like that. This helps us to understand that after calling God our Abba (see the last reflection on this blog), we pray that Abba and his values will rule over our life and take priority over any other philosophy or political system. To pray for the reigning of God to come about is also to pray that injustice be overcome, that life be respected, the war will end and that there will be peace between peoples and an end to hatred. Yes, realistically we know that until the coming of Christ in the fullness of time none of these ideals will be fully realized. At the same time God's Kingdom or reigning breaks in among us whenever these ideals are realized, to whatever limited extent that may be so. In this world of racially charged trials, kidnappings and acts of terrorism I am so lifted up by the many acts of love, service and kindness that do not get reported. God is indeed reigning in many ways. Let's just continue to open the doors and to open our hearts to let that happen even more. The Lord is teaching us here that our prayer is not just about ourselves, but about bringing about the good that God desires. May God reign over our hearts and over everything that we do!